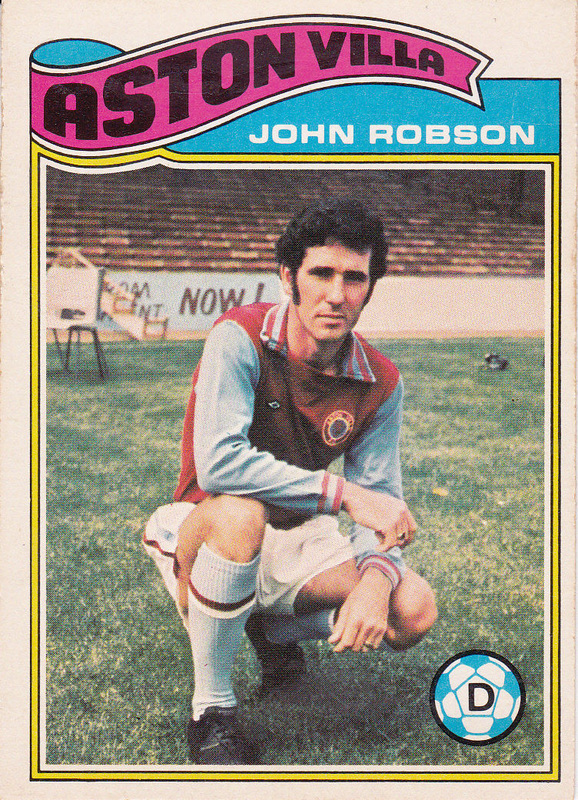 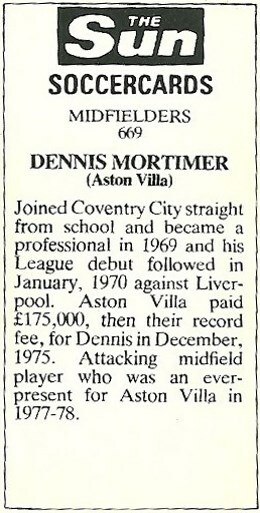 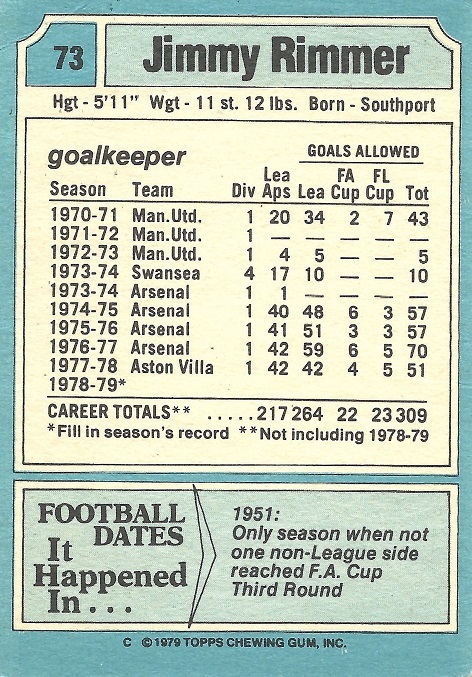 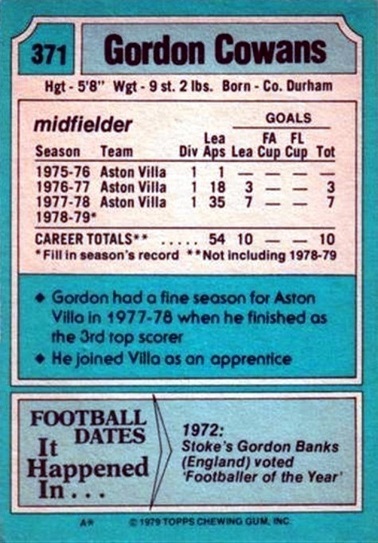 Set of sports-themed fact-cards including a Villa team entry. 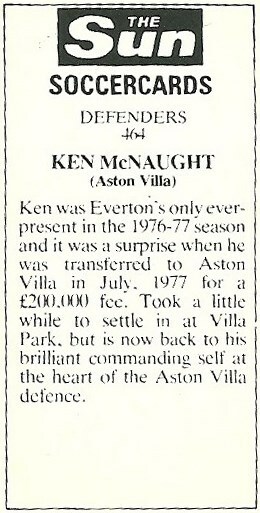 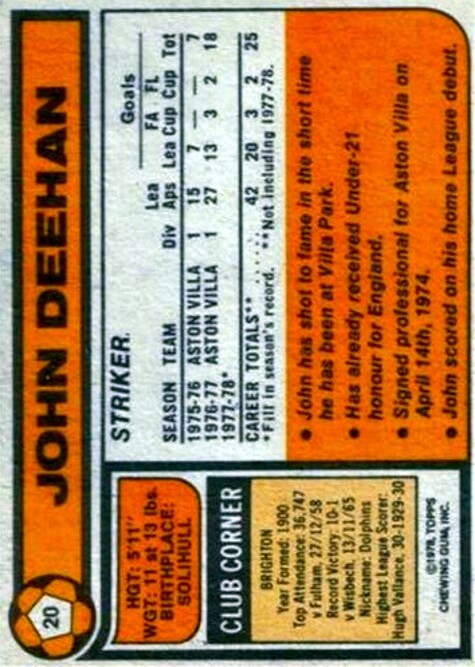 Another set would follow in 1979 - see below. 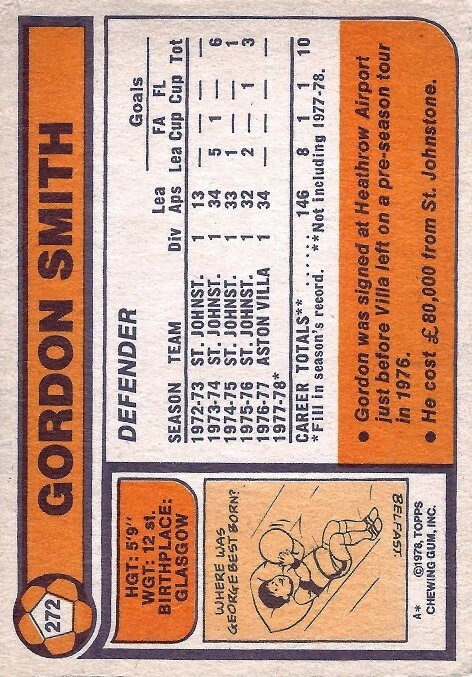 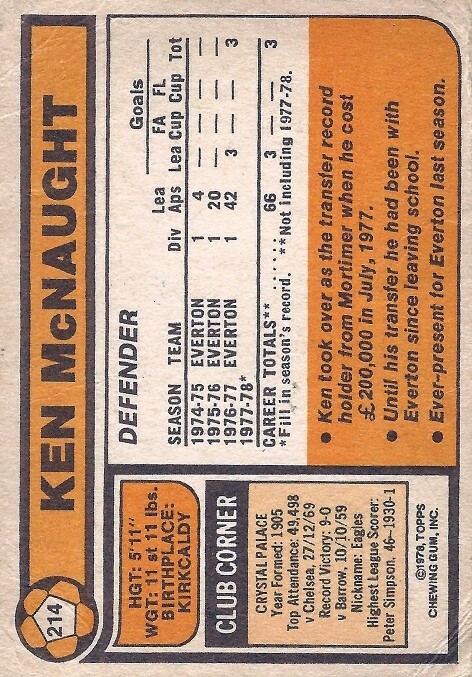 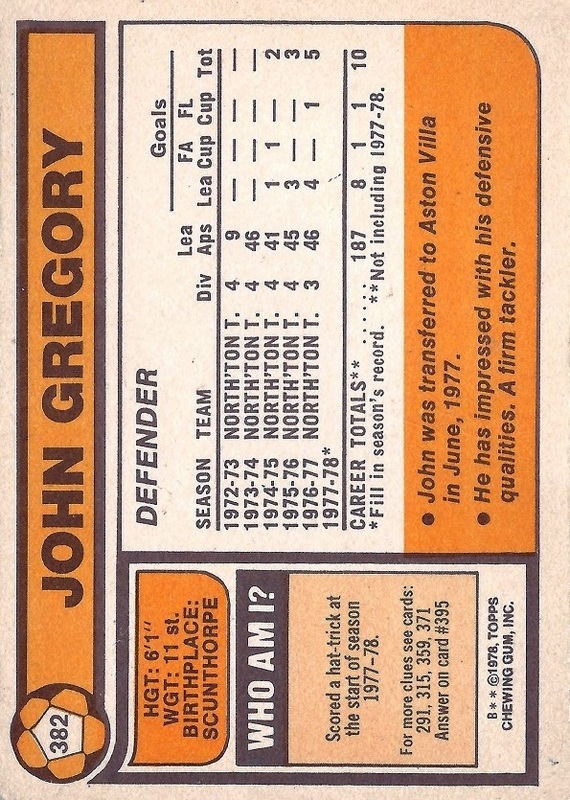 Second set of sports fact-cards from Recontre. 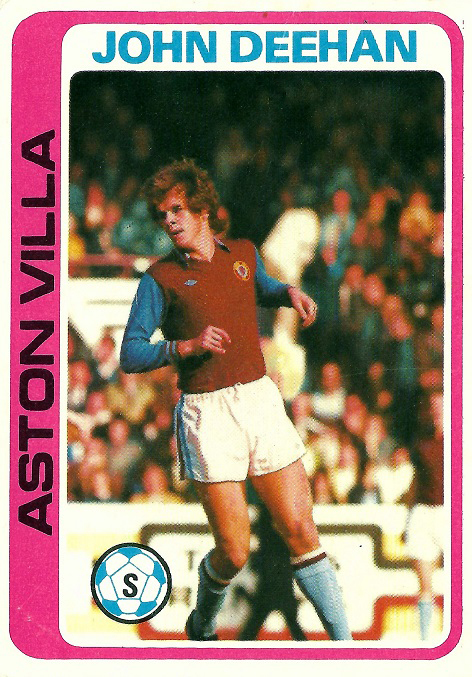 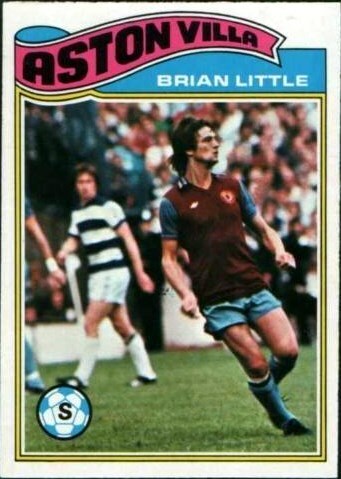 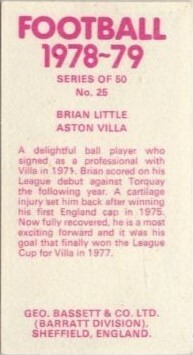 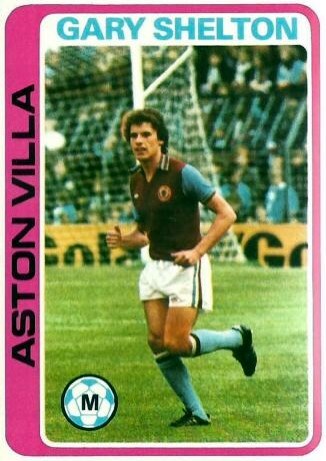 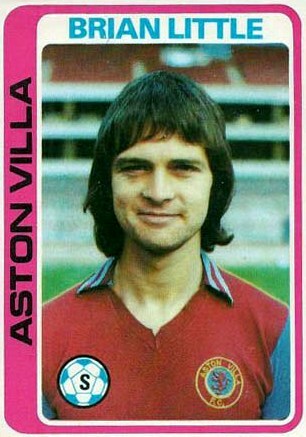 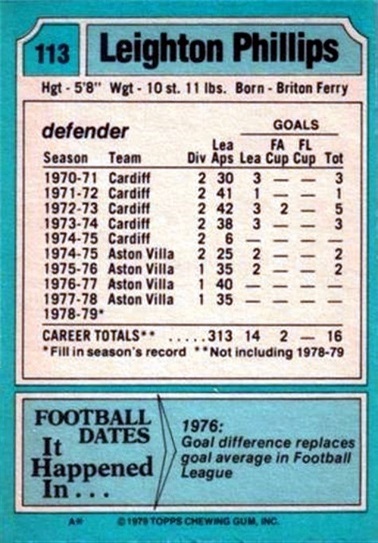 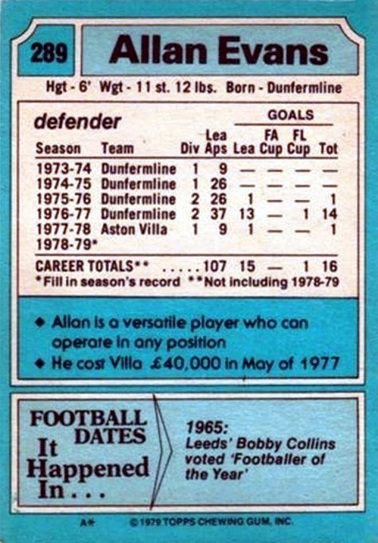 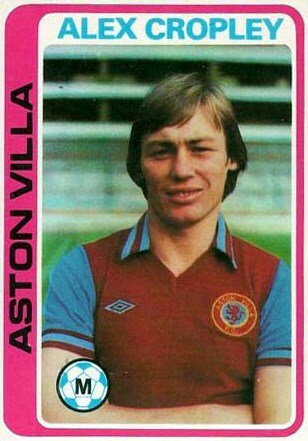 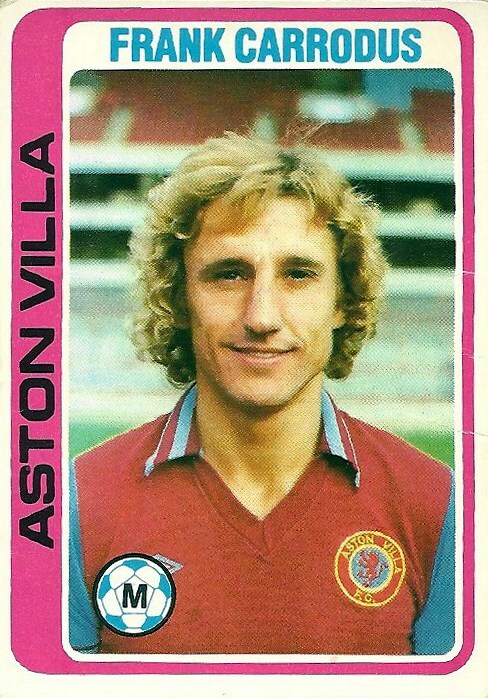 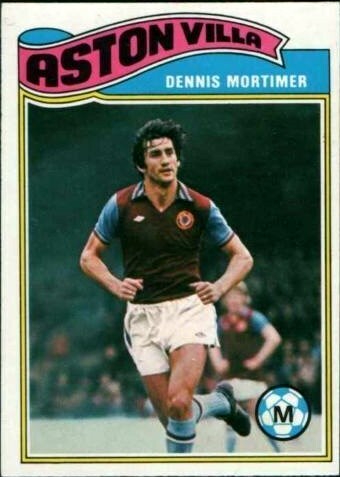 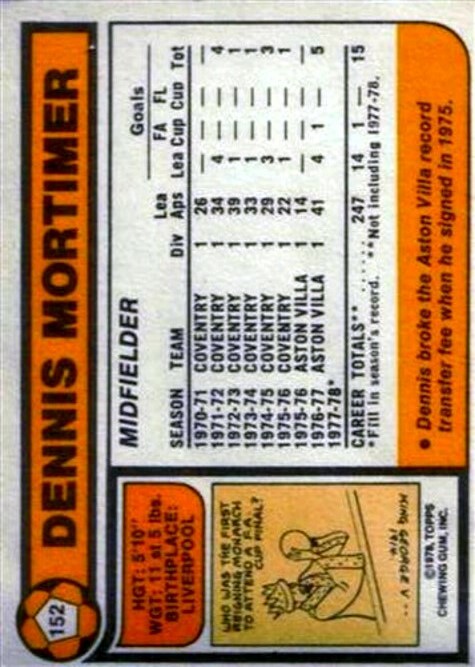 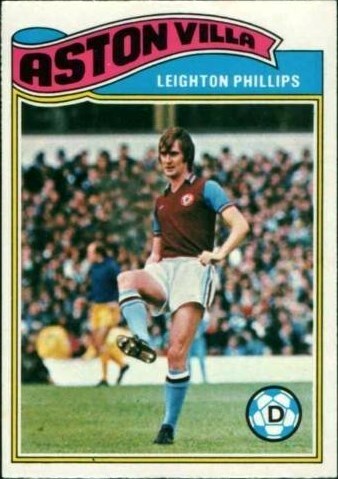 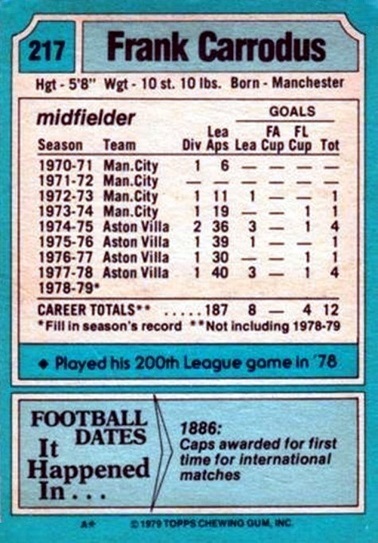 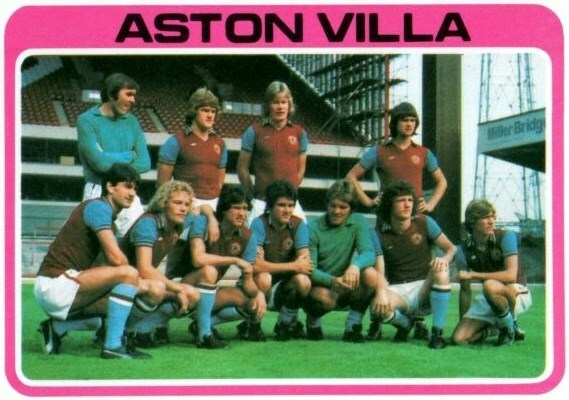 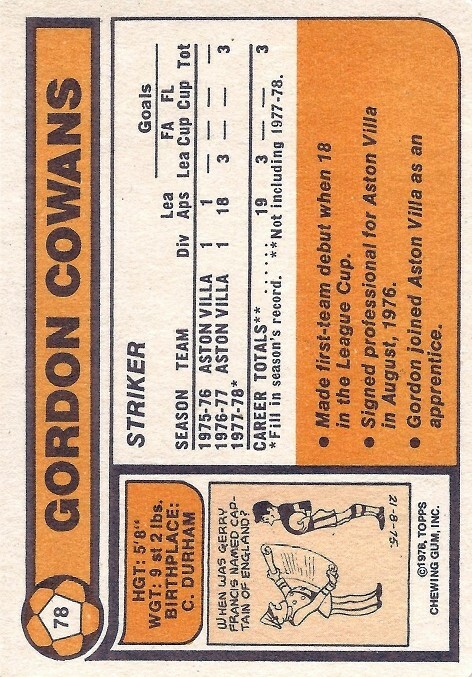 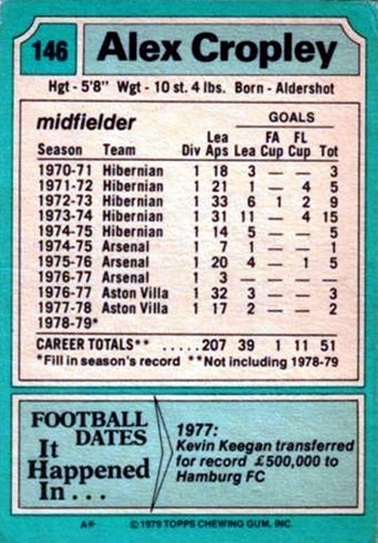 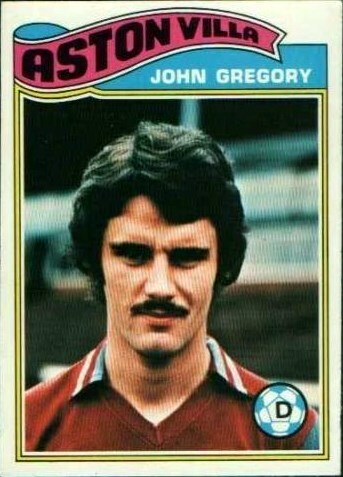 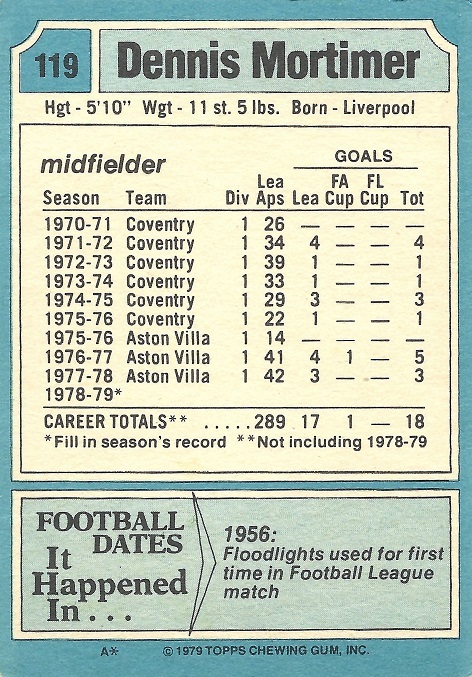 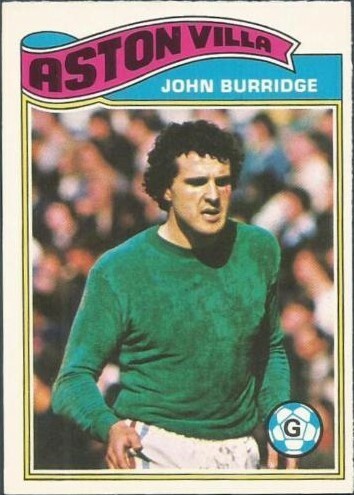 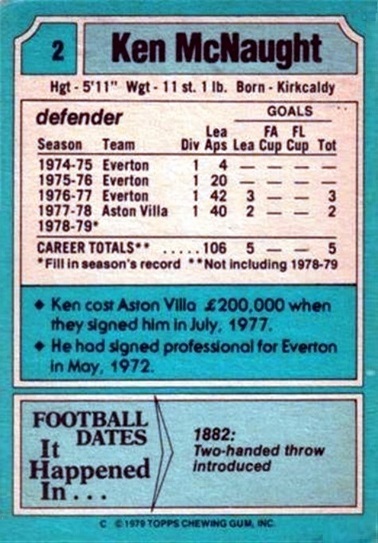 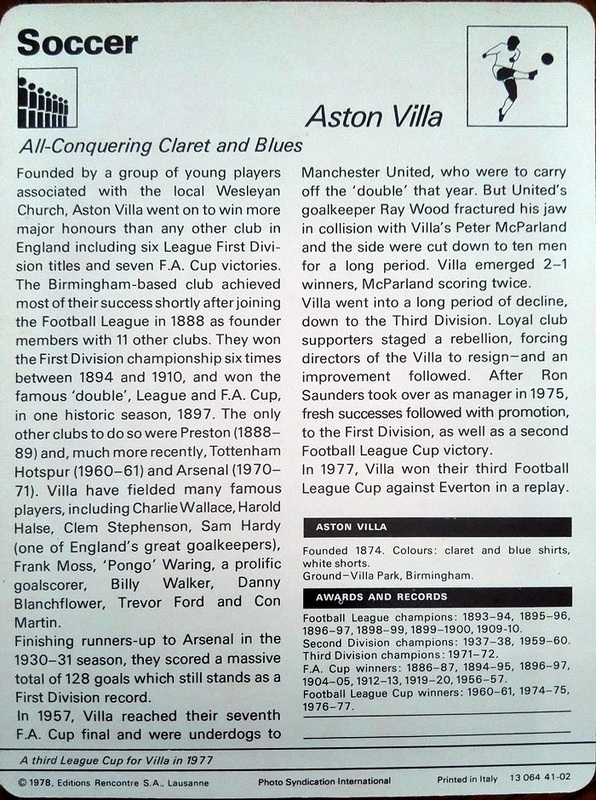 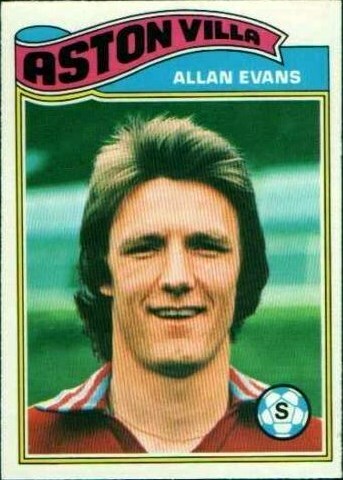 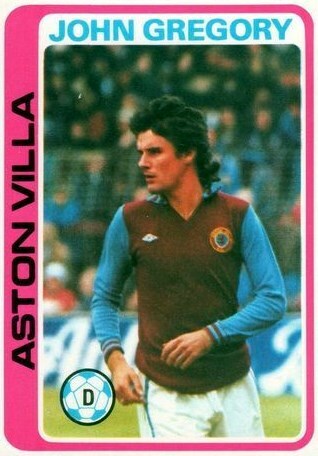 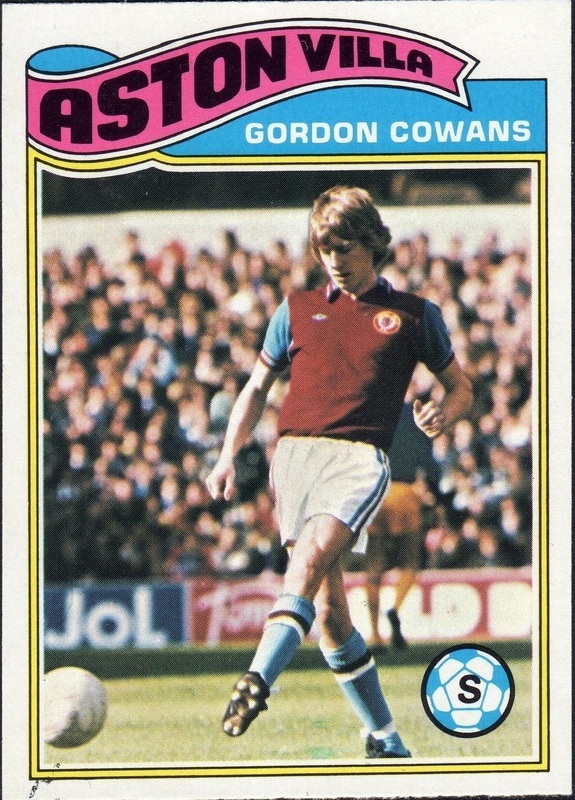 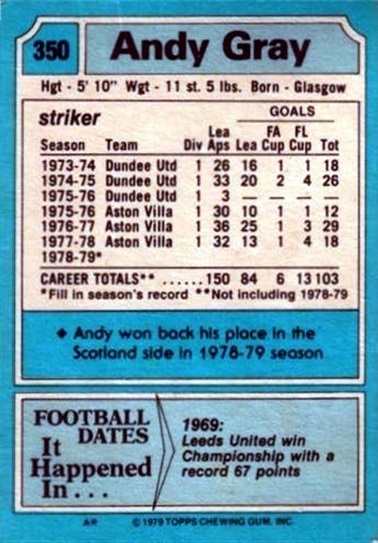 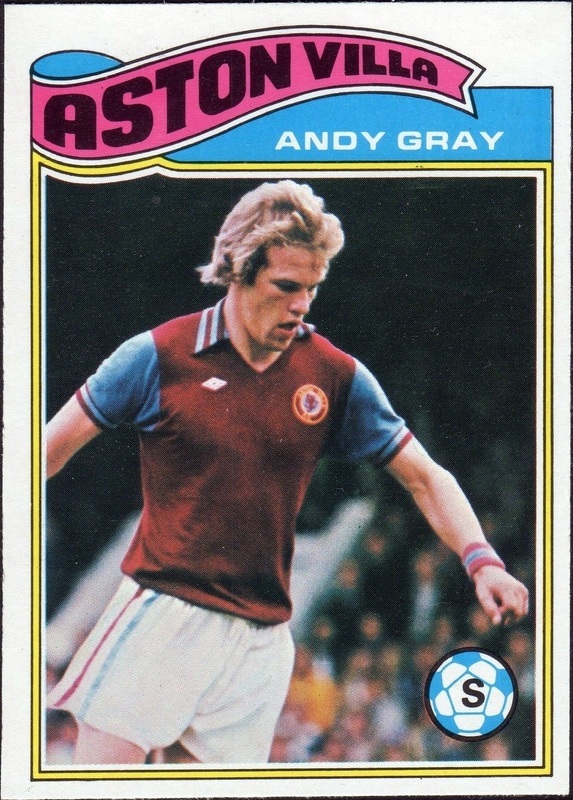 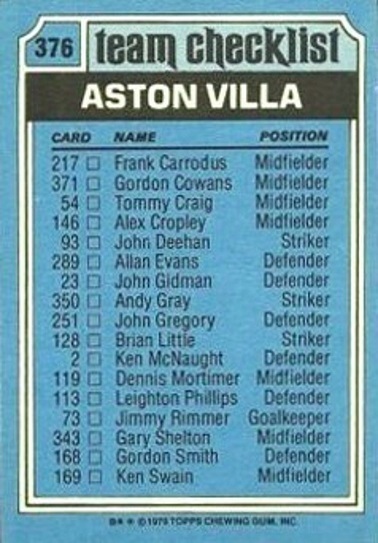 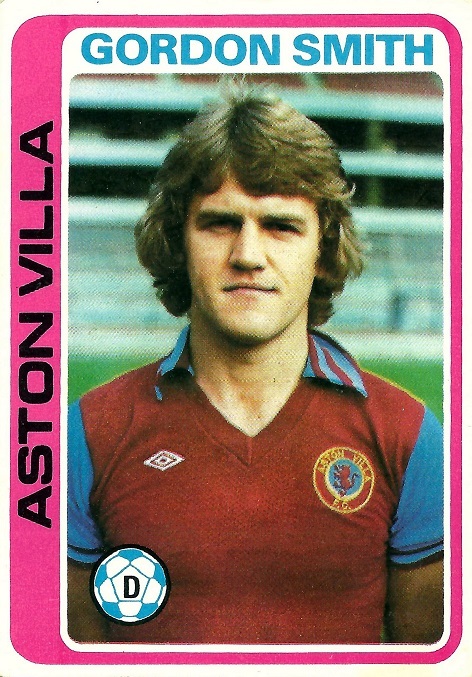 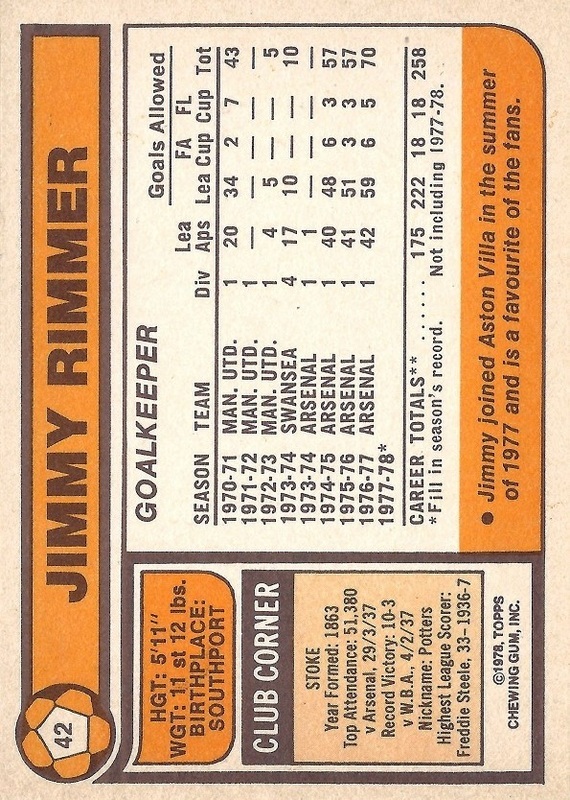 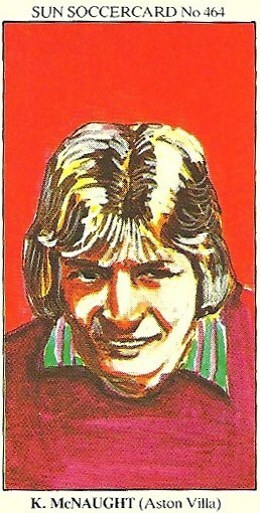 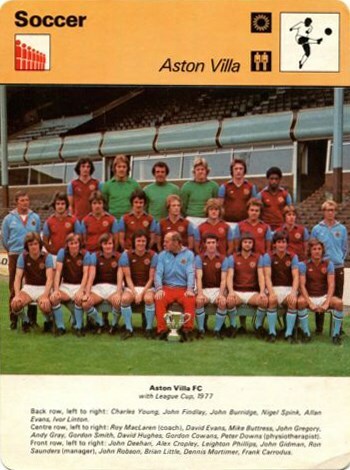 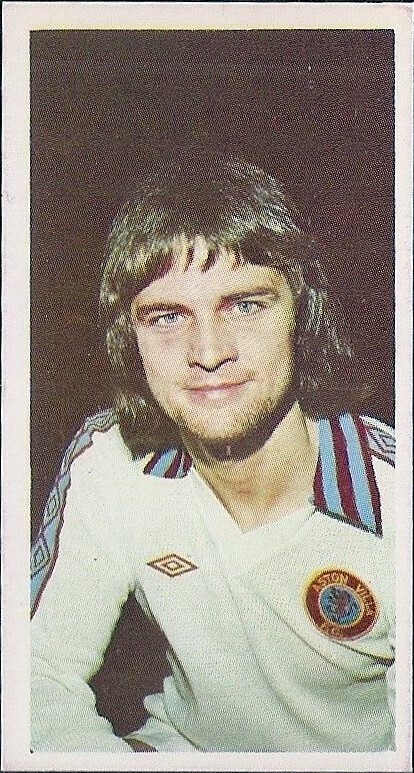 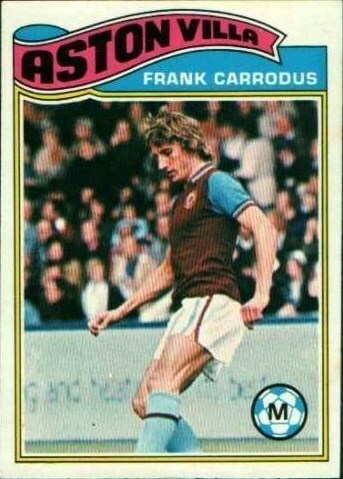 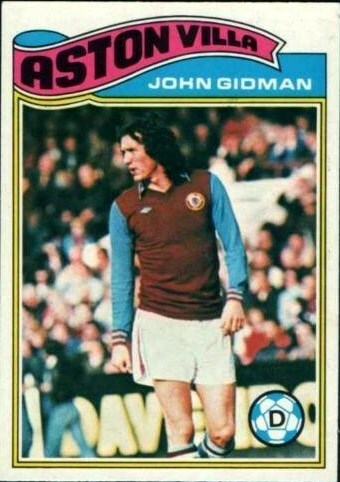 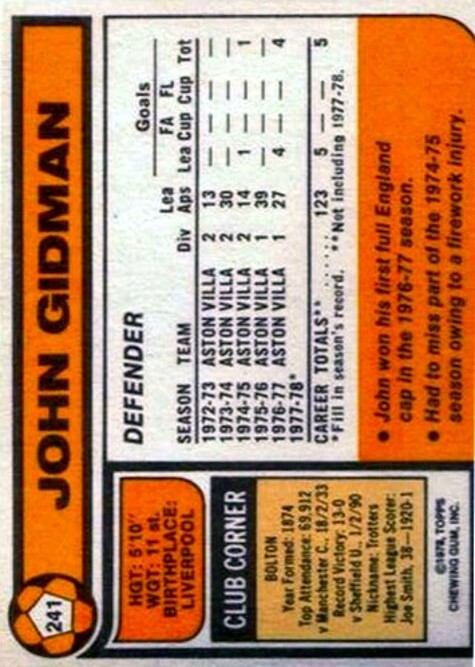 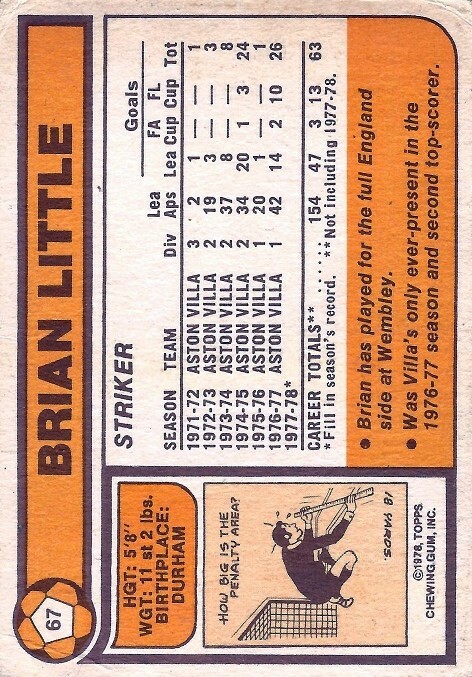 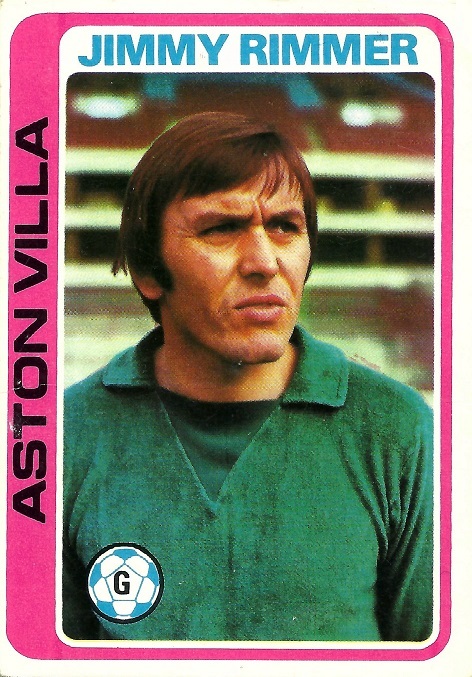 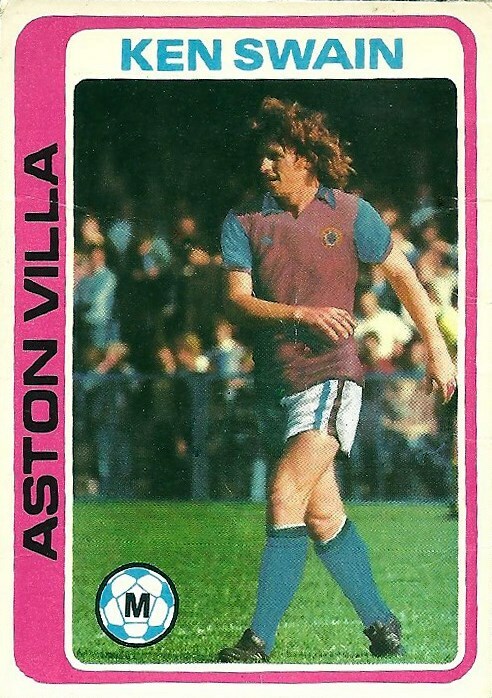 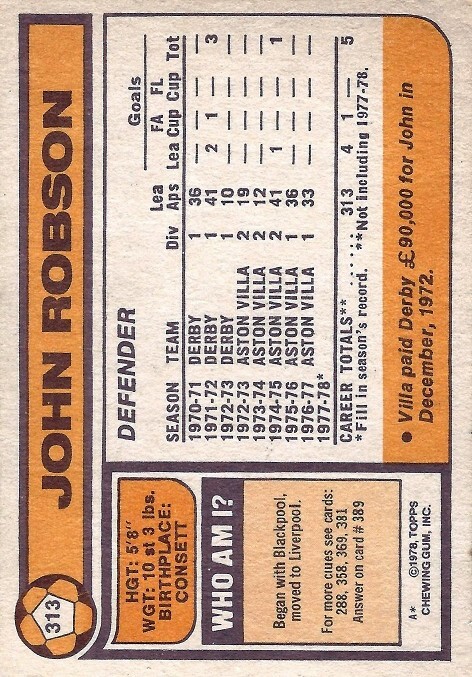 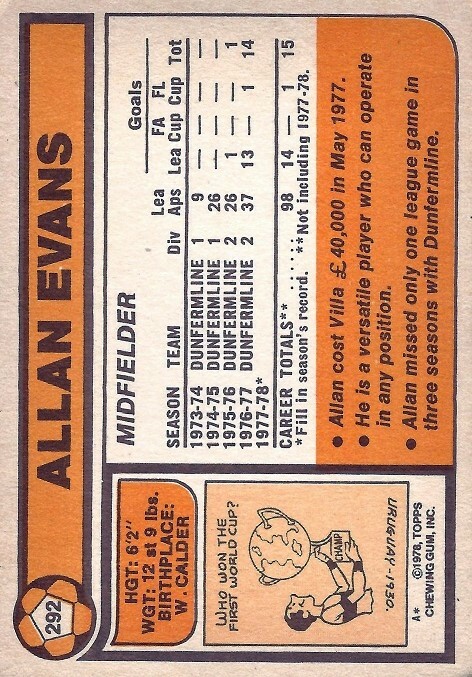 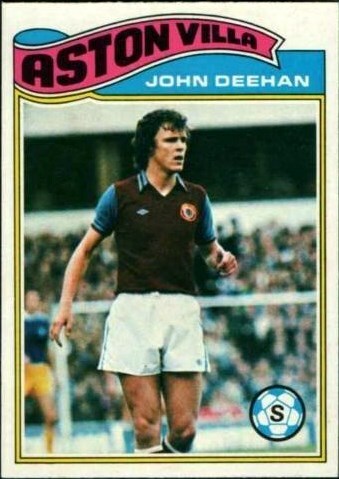 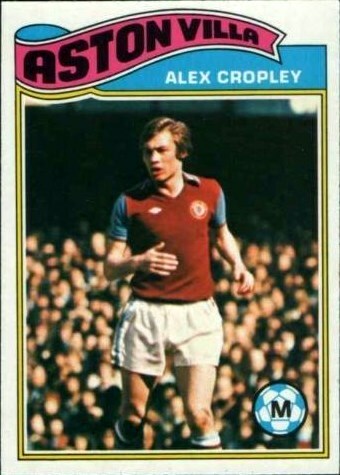 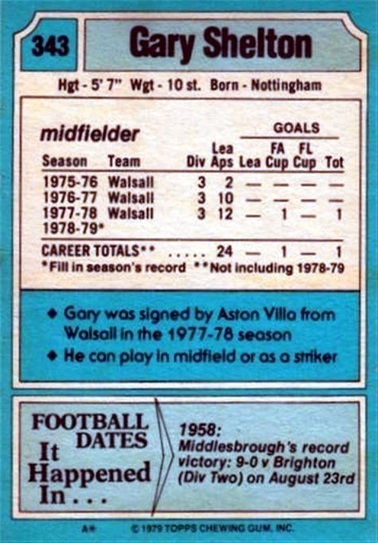 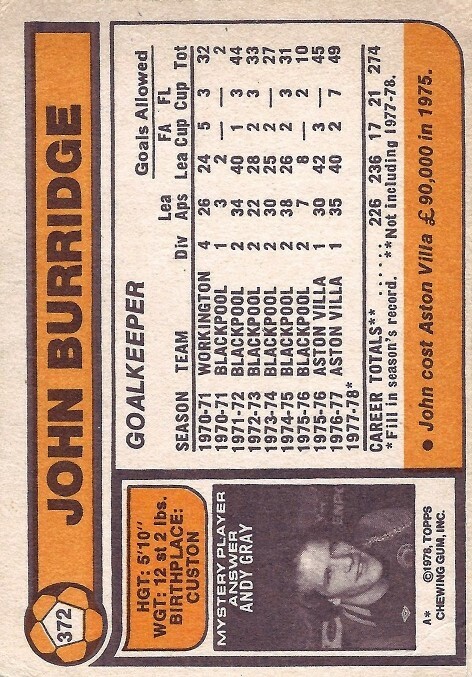 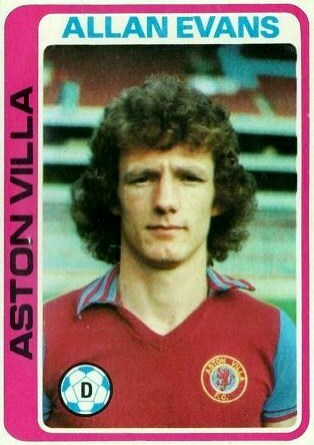 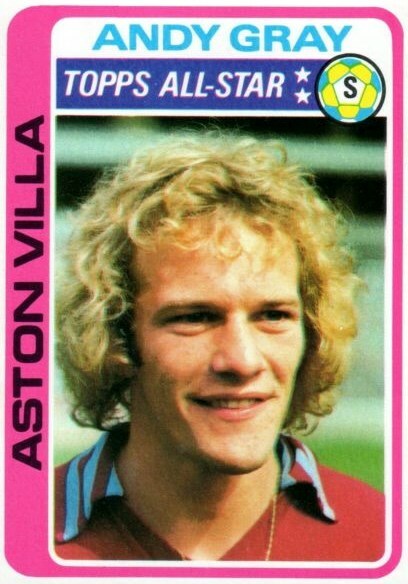 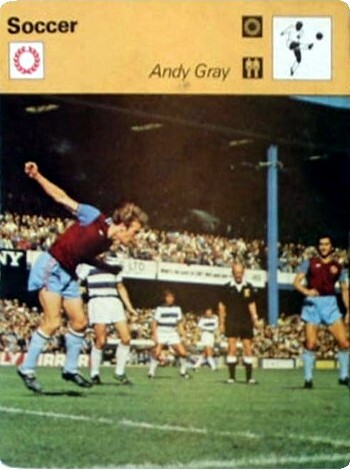 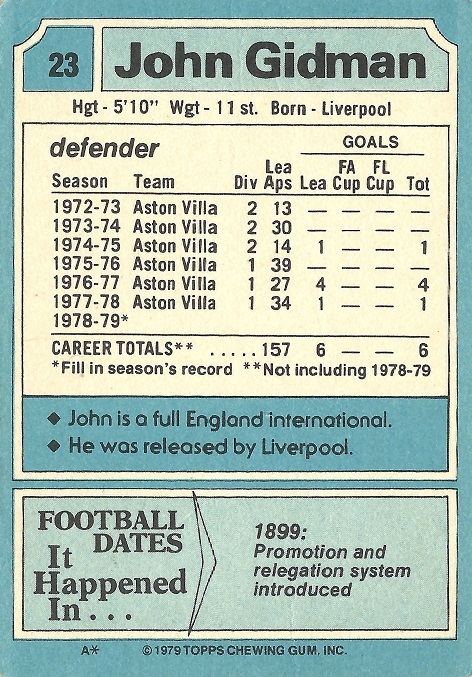 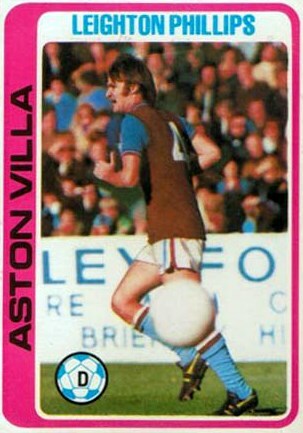 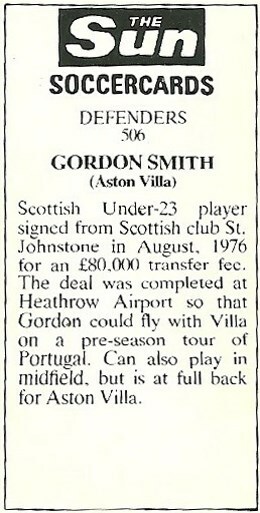 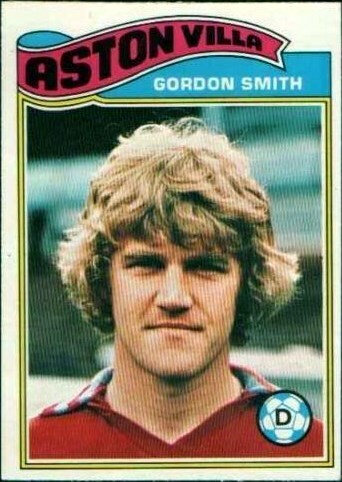 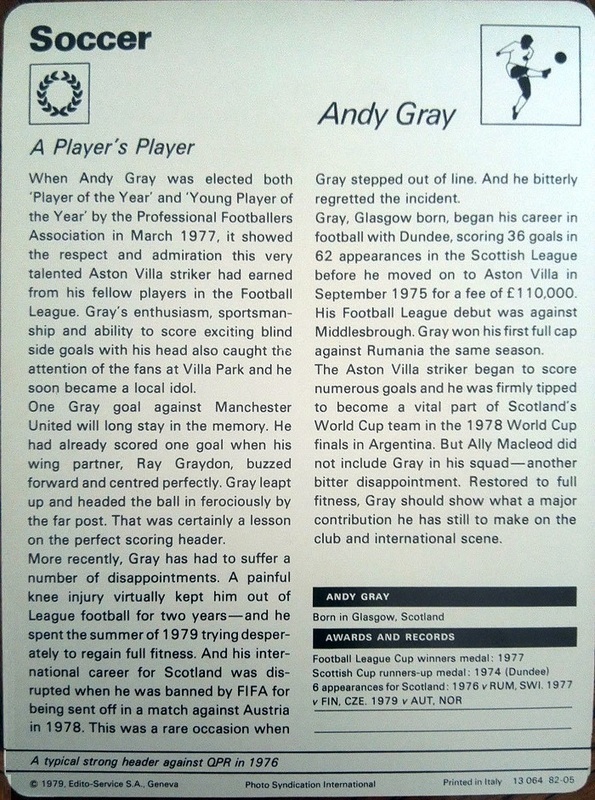 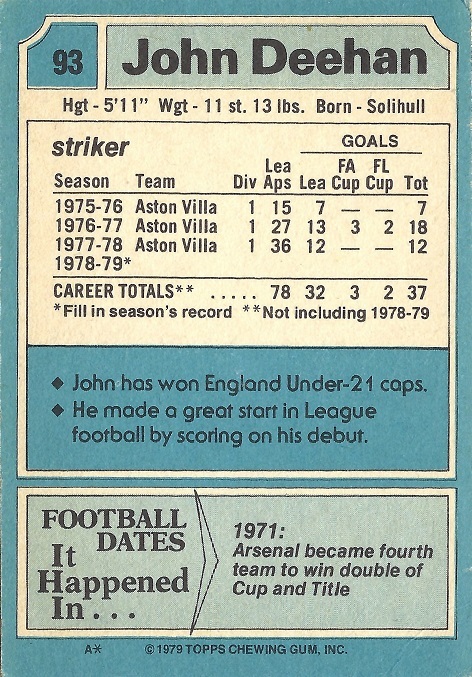 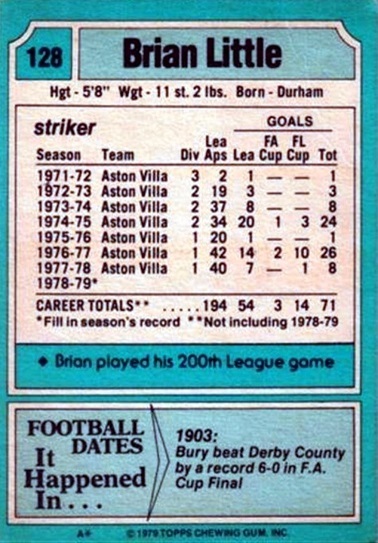 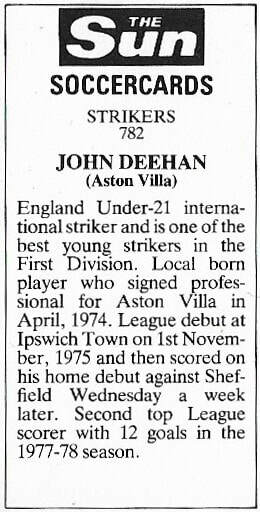 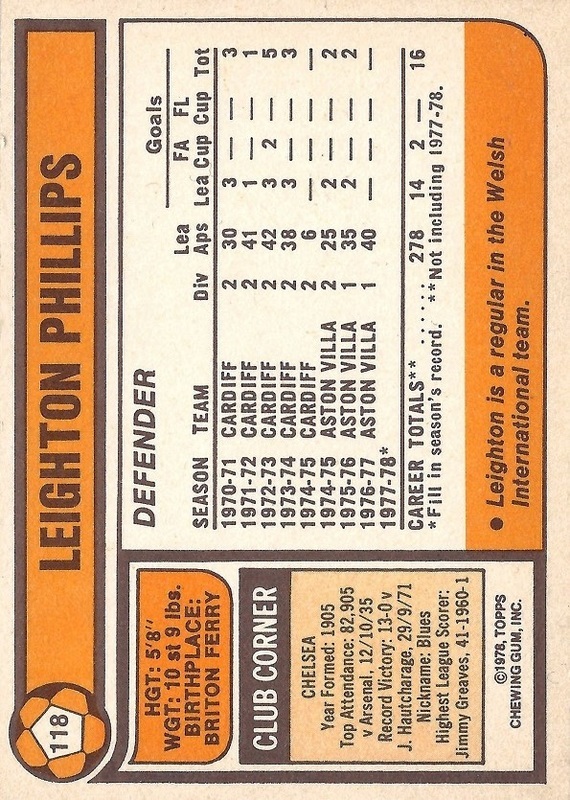 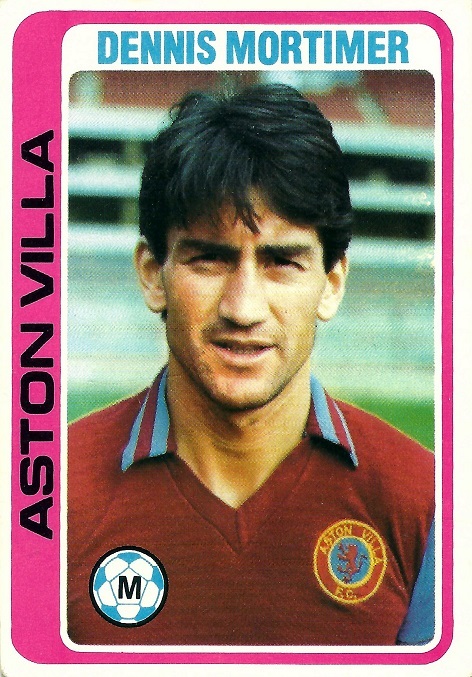 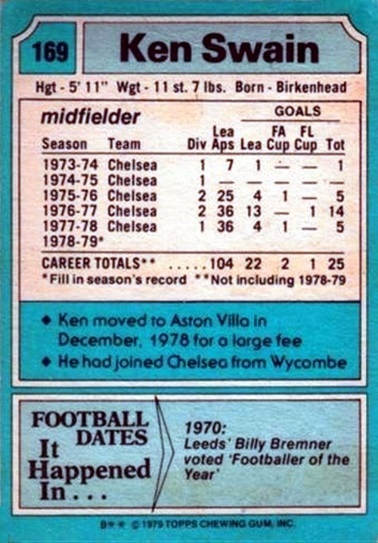 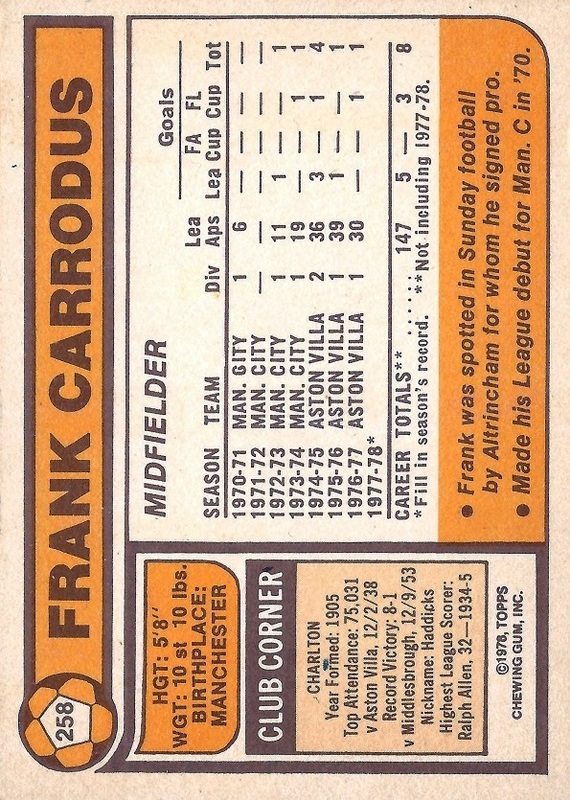 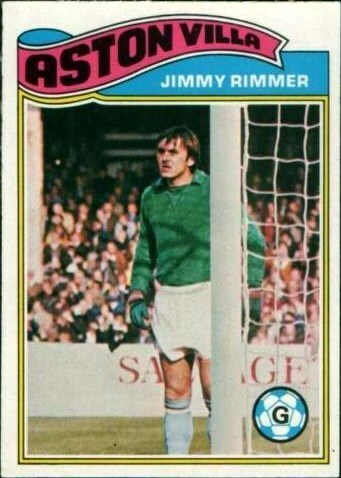 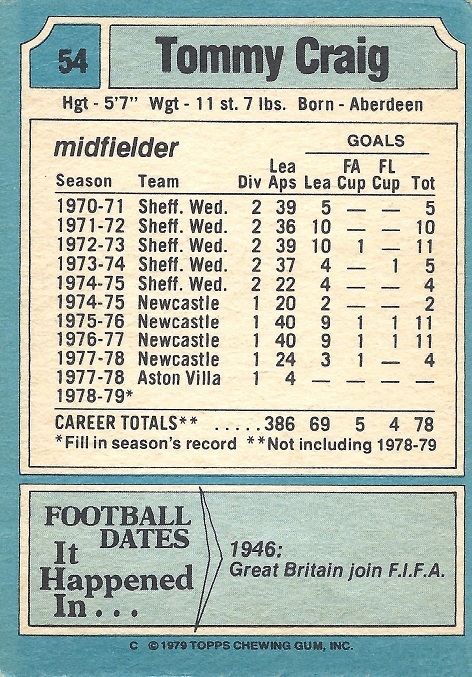 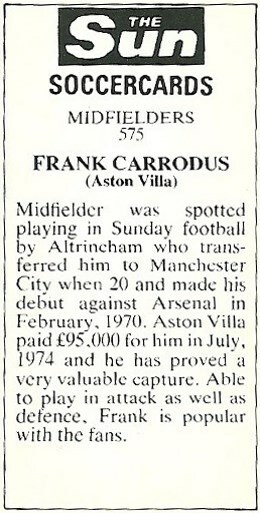 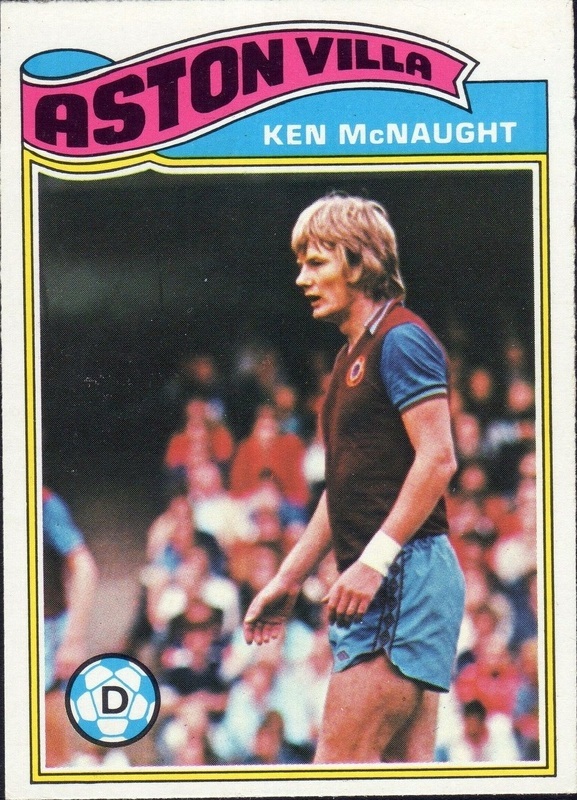 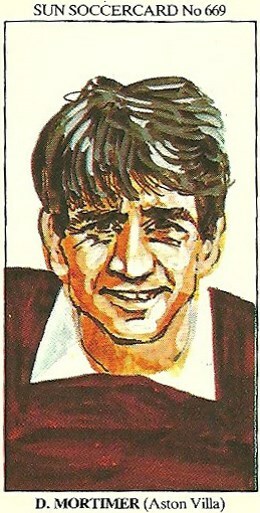 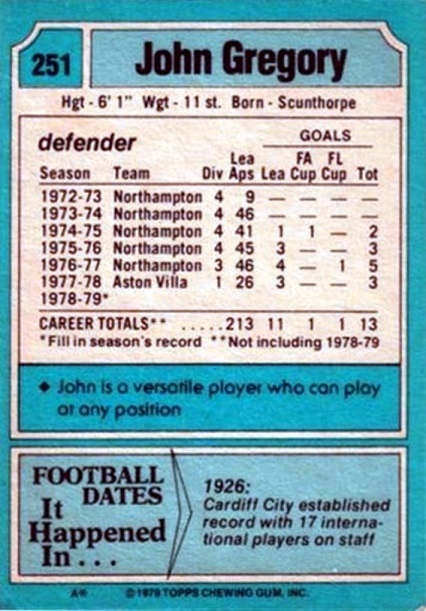 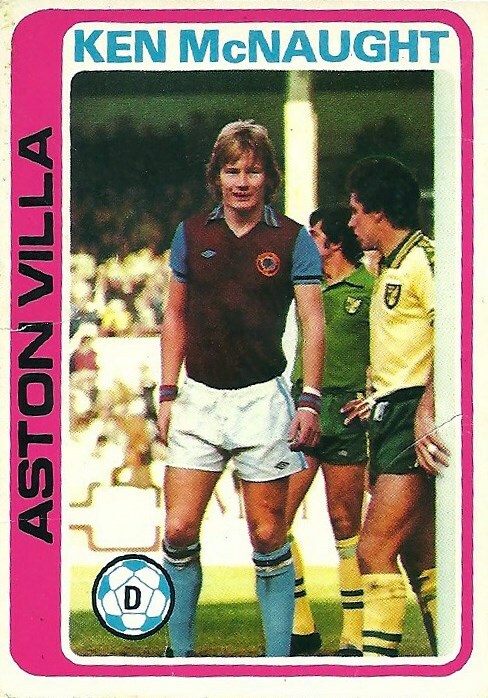 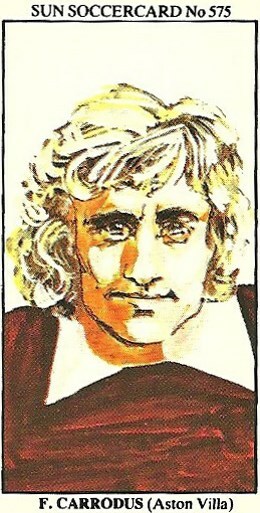 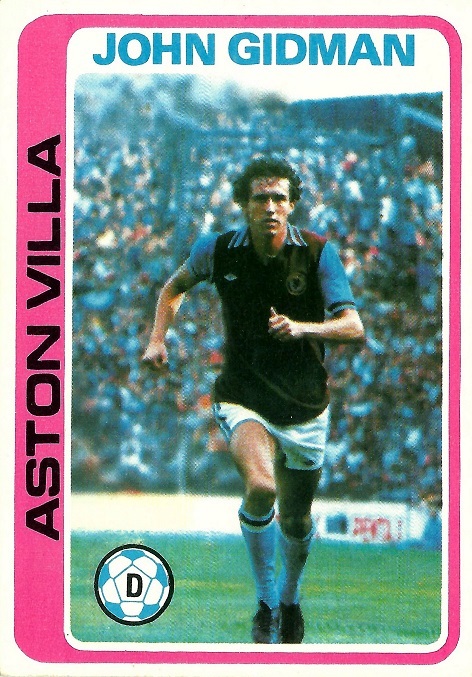 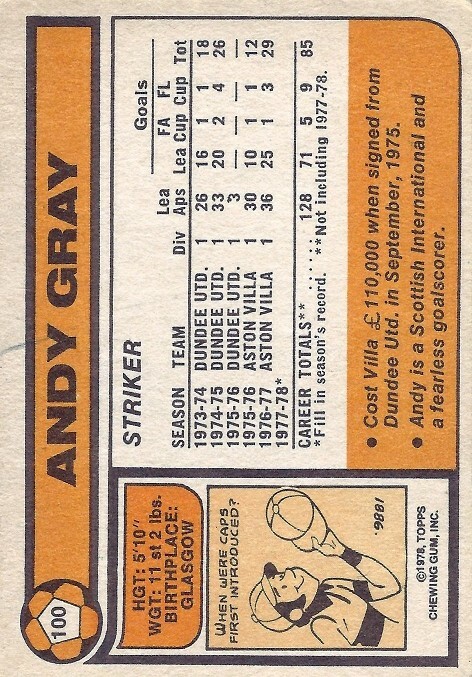 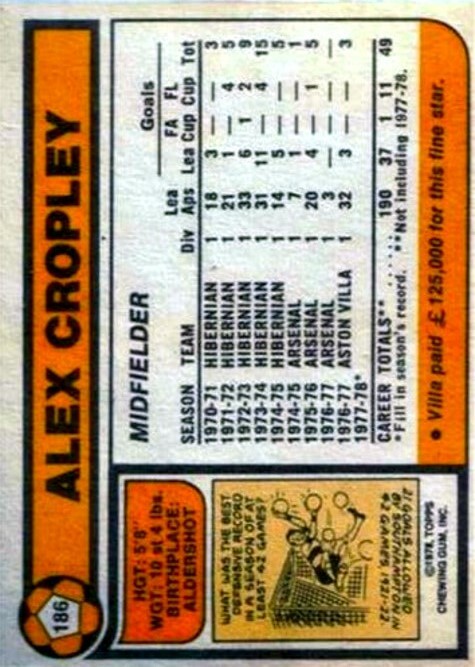 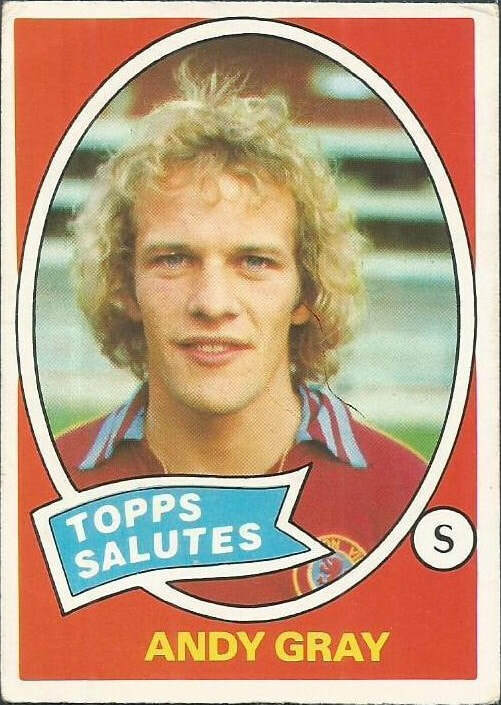 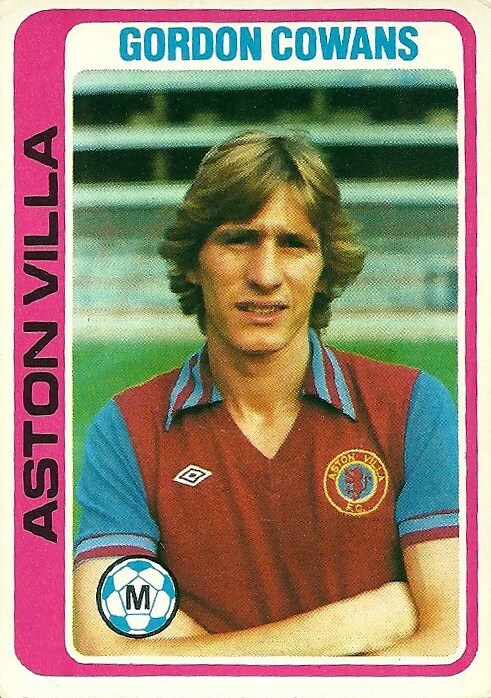 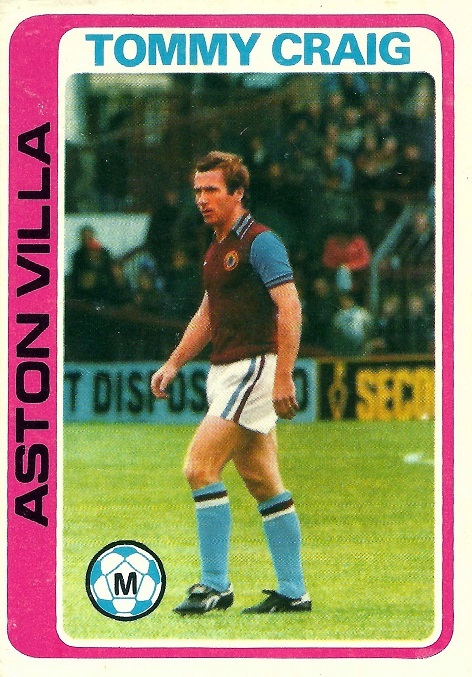 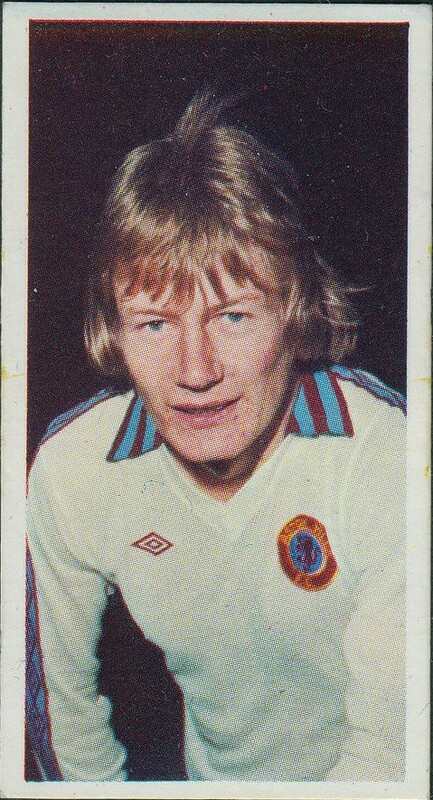 This time Villa were represented by an Andy Gray feature card. 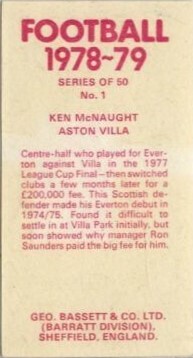 Supplementary set for Scottish clubs, but including a number of "Topps Salutes" cards, featuring Scottish players from the English league. 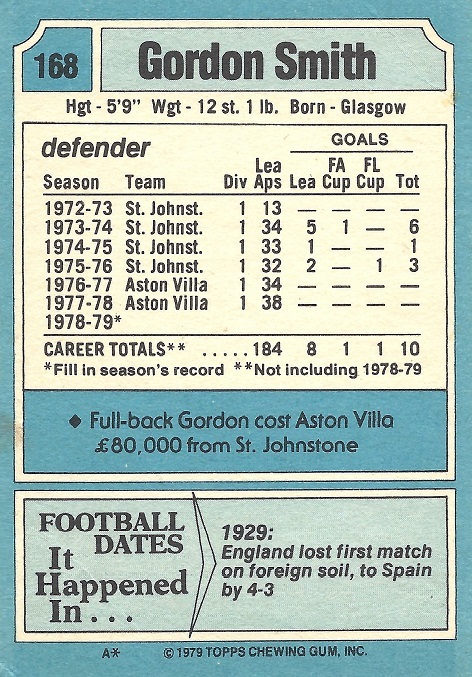 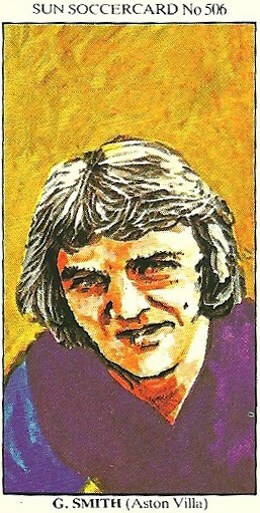 Two cards not included below, commemorate Peter McParland and Trevor Ford respectively, in their capacity as international stars. Both are depicted in their Villa kits, but not as Villa players.